Dr. Susan Ludwick, DNP, MSN, RN (Associate Professor and Chair of the Department of Nursing) is originally from Kansas City, MO and grew up in Overland Park, KS. She obtained her BSN from Wichita State University in Wichita, KS; she obtained her MSN from The University of Wyoming and she received her Doctor of Nursing Practice degree (emphasizing Leadership & Public Health Nursing) from The University of Kansas in May 2017. 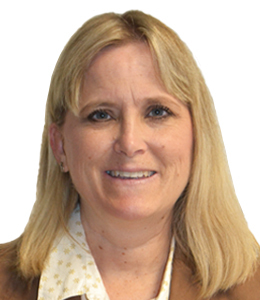 Dr. Ludwick has been a Registered Nurse since 1992 and has been a Nursing Educator since 1996. Her clinical background includes working in Medical Surgical areas, Obstetrics, Pediatrics, and Community Health. She feels that nursing education is where her heart is and has been a nursing educator in several areas including Maternal Child Health, Community Health, Fundamentals, Leadership, Nursing History, and Pharmacology. Dr. Ludwick’s research interests emphasize vulnerable populations especially women and children living with homelessness, postpartum depression, and the emotional needs of nursing students. She has participated in podium presentations at regional and national nursing conferences. She is a member of Nurse’s Christian Fellowship, Sigma Theta Tau International, and serves as the Sub-editor of Nurse’s Christian Fellowship International on-line journal. She and her husband have three children.